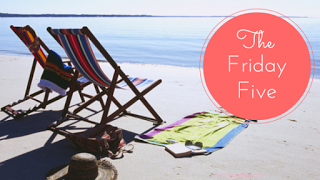 Confessions of a Book Addict: Friday Five (29) and Giveaway! Friday Five (29) and Giveaway! Happy Friday! Sometimes I like to talk about what I am currently into that is not necessarily book related. Here's what I have been up to/thinking about/enjoying lately. Let me know what you think! 1. Outlander - Gahh! It's back! I am so excited to see how Dragonfly in Amber translates to TV. 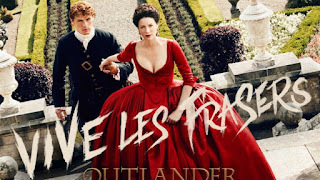 The setting of France should be so vastly different than Scotland and while I prefer Scotland, I am excited to see the new costumes and sets. Anyone else tuning in tomorrow night? 2. Spring....Or Not? - It should come as no surprise that I have been loving the spring time weather... until lately. We had a cold front come through and it looks like its hanging around. We've had some weird weather lately and I am VERY ready for spring. If I see a snowflake in the forecast, I may cry. Anyone else with me? I'm not sure Mother Nature can make up her mind. 3. 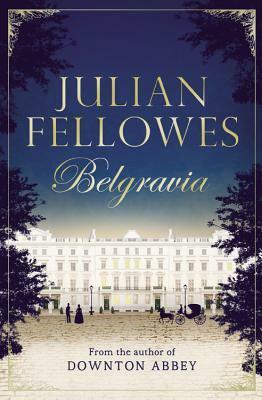 Belgravia by Julian Fellowes - I am SO excited to share that I am going to be a part of the blog tour for Belgravia by Julian Fellowes (Downton Abbey! ), which comes out this July. But what is so exciting is how the novel will be shared. It is going to be published in eleven weekly installments (like in the style of Charles Dickens and Sir Arthur Conan Doyle) and each "episode" will have a cliffhanger...much like TV episodes today. I love this concept! Starting April 14th all of the "episodes" will be available in digital format before the actual publication of the novel on July 5th. How fun will that be to follow along weekly? Go check it out here and add the book to your Goodreads shelf as well! 4. Victoria - Victoria comes to Masterpiece in 2017 and let's hope it replaces the void left by Downton Abbey. Queen Victoria is such a fascinating person and I can't wait to check out this show. What is also pretty cool is that the show is written by Daisy Goodwin. If you love historical fiction, you should definitely check out her novels. My favorite is The American Heiress. 5. 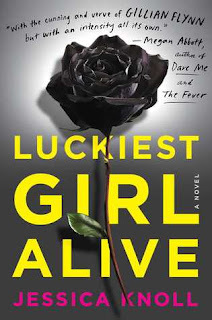 Luckiest Girl Alive Giveaway - Thanks to Simon & Schuster, I am hosting a giveaway for a paperback copy of Luckiest Girl Alive. If you missed my review, check it out here. 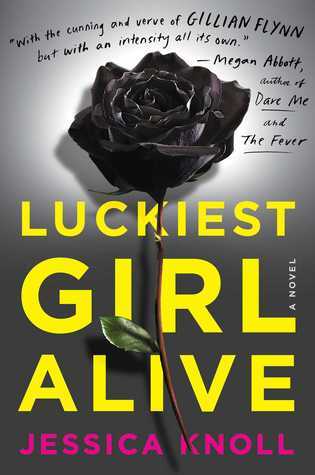 The paperback edition just hit shelves this week and if you haven't read this novel, you must. It's a NY Times Bestseller and it was one of my favorite books of 2015. Film rights have already been bought up by Lionsgate and Reese Witherspoon's production company. The deadline for the giveaway is April 18th and it's open to US readers only. Please refer to my giveaway rules. Good luck! I am excited to check out Belgravia and I look forward to watching Victoria next year. Though I doubt it will be like Downton Abbey I still hope it will be good. I hear you. It can get very pricey. So far Outlander season two is off to a great start. I hear you about the winter weather. So over it! We got snow yesterday as well. I know. It will be hard to fill Downton Abbey's shoes, but I'm hoping Victoria will be compelling. Have a great weekend and thanks for visiting! Funny you mention snow in Spring because we have huge flakes coming down as I type this and I live in Chicagoland. Don't know whether to laugh or cry. I'm also excited for Outlander to return. I haven't read any other books past the first one so everything will be a surprise. UGH! I hear you. I am in total denial that it snowed a few inches yesterday. I think you'll like Dragonfly in Amber/season two of Outlander. It definitely gets good and although I don't like the setting of France as much as Scotland, the new costumes/set seem beautiful! Thanks roof visiting! How cool about the blog tour for Belgravia! I will definitely be keeping my eyes open for that. I hadn't heard about the book yet, but will be heading to Goodreads pronto! Victoria sounds like something I will enjoy...going to give it a shot and I do hope it follis the void Downton has left...I already miss that show so much, but do own all 6 seasons on blu-Ray, so can get my fix anytime, though it won't quite be the same. Thanks, Kristin! I'm glad you agree. We need spring! I am excited for Belgravia as well. I love the idea for a serial, too. I hear you - I have all the season of Downton too. I have high hopes for Victoria. *fingers crossed* Thanks for visiting! YES! The weather has been killing me lately Christina! It's 60 one day and then 35 the next and I can't deal with it anymore. JUST PICK A TEMPERATURE ALREADY! I'm a winter girl all the way, but even I'm over this cold weather. Don't tease me with a 70 degree day only to take it away the next week and give me flurries. You should definitely watch Outlander this season, Jenny! Thanks for visiting! Victoria sounds really good! I think I'll definitely be tuning in for that one! Me too. I find Queen Victoria to be SO fascinating....definitely want to watch it! Thanks for visiting, Sam! Sheesh. I need to catch up on Outlander! I think I quit after 4 episodes of the first season. 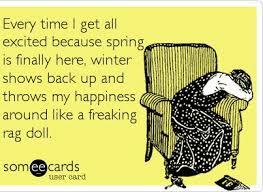 Totally share your grief over the Spring delay. Yesterday, it was sunny and snowing at the same time - which is mother nature's way of a delayed April Fool's joke. Sigh. You definitely need to get caught up, Joy. It's a great show. UGH! April needs to get with it. I am over the snow as well. Thanks for visiting! Christina, I find the most amazing fun things on your Friday Fives! :D I am now super excited for Victoria (is that Clara from Doctor Who?? :D) and Belgravia! I have such a HUGE hole in my life with Downton's end and these look like perfect things to fill it. Also, I will have to try Outlander sometime soon. It looks like a pretty show! Thanks so much, Becky! I appreciate it. I am pumped for Victoria as well. We need something decent to fill Downton's shoes. I think you'd like Outlander! Let me know if you give it a try. Thanks for visiting! I hear you. The end of March was beautiful around here and now April has pretty much given up. I think it will be nicer mid-month. *fingers crossed* Thanks for visiting, Lauren! Ooo, thanks for the heads up on Belgravia. Sure! I am excited for it! Thanks for visiting!